Despite having a team of personal chefs, Kate Middleton still loves to cook dinner and involve her children in the process. During a recent appearance at a Commonwealth Big Lunch event, the Duchess of Cambridge says she has a go-to meal when cooking with Prince George, 4, and Princess Charlotte, 2. Apparently, the young royals' favorite dish is homemade pizza, a recipe they love to make from scratch with their mom. 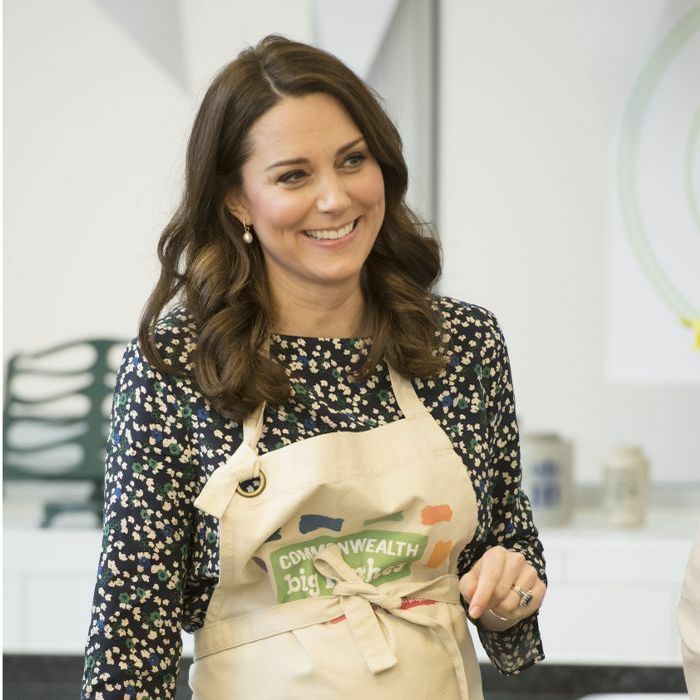 "I've done that with George and Charlotte—making pizza dough," she reportedly told one of the members at the event. "They love it because they can get their hands messy."